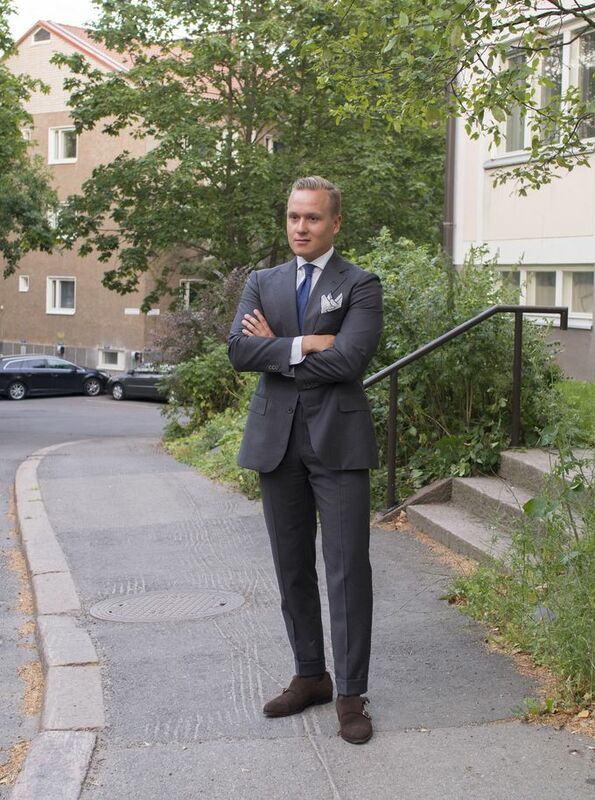 This particular look is I suppose an example of how a grey suit can can played down to a slightly more casual and seasonal look while still retaining those features needed for a formal office look. The soft tailoring and lightweight cashmere blend fabric, a slightly more intresting pocket square fold and suede double monks make it a little more fitting for a summer day. The suit is a La Spalla fit suit from SuitSupply, shirt from Sonrisa, grenadine tie from Berg & Berg, linen pocket square from Viola Milano, suspenders from Viola Milano (made by Albert Thurston), socks from Pantherella and suede double monks from Carmina. 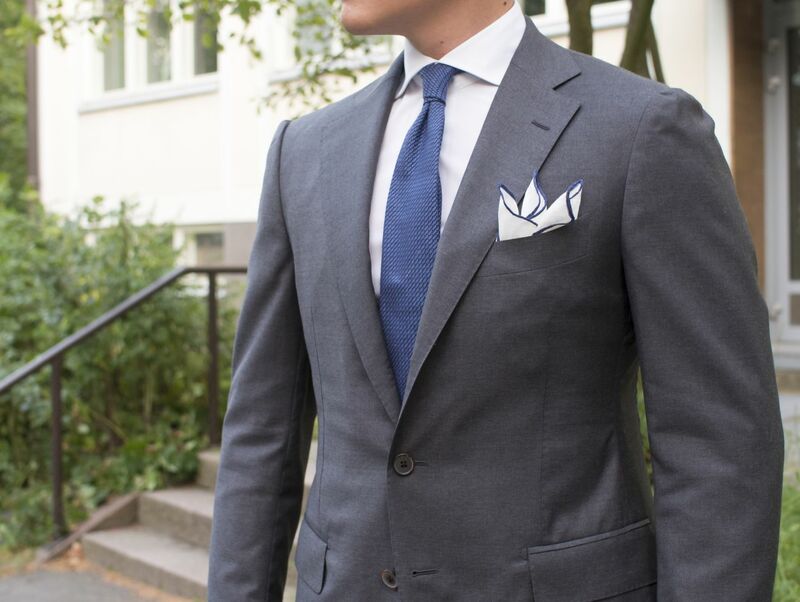 This best thing about the La Spalla fit is definitely the lapels of the jacket. The construction is also super soft and it does really feel like having a lightweight shirt on you.